Bart Boehlert's Beautiful Things: A Trip to the I.C.P. 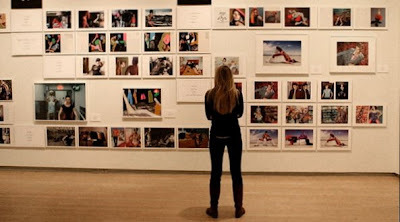 On Saturday morning I thought, "I want to see some Beautiful Things today," so after my yoga class at the Chelsea Piers, TD met me uptown at the International Center for Photography where several fashion photography exhibitions are currently mounted. On the street level you walk into "Weird Beauty," a show of avant garde fashion magazine stories from publications like Vogue Paris, V, and Numero Homme. The fashion photography stories are mounted from the floor to the ceiling for a graphic exhibition. The creativity on display is very inspiring. It's fun to see what you like, and what you don't like. There were a lot of cool looking kids at this show; it was kind of a scene. I think anyone who works in the fashion business would enjoy viewing it. I was particularly taken by a fashion spread from Vogue Italia by a photographer, new to me, named Tim Walker. It's a beautiful story -- pale pastel colors, very Romantic, very imaginative, really a dream. Turns out he is British, and I found a podcast interview with him that you can listen to here; ain't the internet neat? In the next room is an exhibition called "This Is Not a Fashion Photograph," which is made up of pictures from the Center's permanent collection which feature clothes and style. 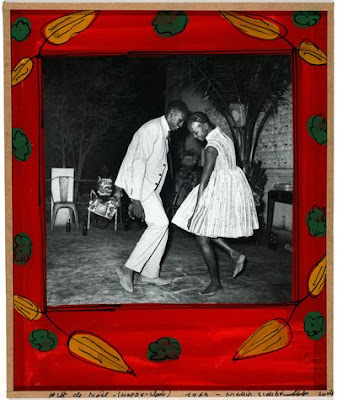 This joyful dance reminded me, in a way, of Barack and Michelle at the Inauguration Balls. Who would ever think that that would come to mind? I love it. Downstairs is a big exhibition of photos by the great Edward Steichen. The show is composed of pictures he took for Vogue and Vanity Fair from 1923-1937. 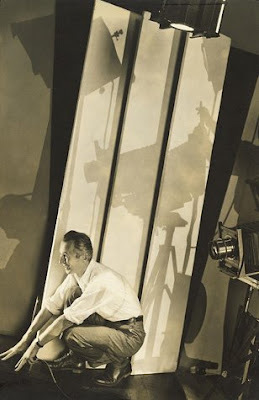 Love Steichen. I have a great big book of Steichen photographs and his widow signed it for me. And guess which picture is in this show? The one I wrote about here on January 10th. Steichen ushered in the modern age of photography with simple, graphic pictures. There is not a lot of frou frou, like you see in the work of Cecil Beaton. Still, Steichen's pictures evoke a poetic past. These classic black and white photos offer a clean, quiet contrast to the raucous, colorful conversation upstairs. Steichen's picture of Gary Cooper from 1933. Was there ever a more handsome movie star? Afterwards we were parched so TD and I went to have a drink in the lobby of the Algonguin Hotel on West 44th Street. The Algonguin, of course, was the home away from home for many writers in the Twenties, and the location of the Dorothy Parker's renowned Round Table. It was a freezing cold night and the lobby was warm and cozy -- big soft chairs, dimly light wall sconces, Frank Sinatra crooning -- a pleasant place to be at cocktail hour. I love a good hotel lobby bar, with travelers from all over passing through and having a drink before moving on. It reminded me a little of the Hotel Costes in Paris, where we alighted in October, and the Bowery Hotel, downtown. Then TD and I went home and had a steak. 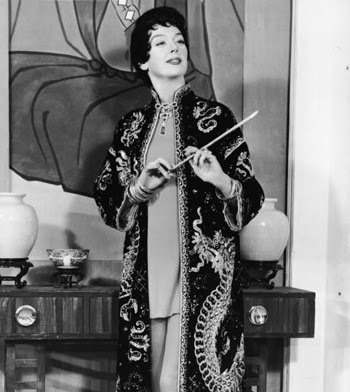 We watched on channel 13 Auntie Mame starring Rosalind Russell from 1958. Such a fun movie. The eccentric Mame Dennis instills in her nephew Patrick an appreciation for charm, culture, beauty, travel, and open-mindedness. "Live! Live! Live!" she exclaims, "Life is a banquet and most poor suckers are starving to death." 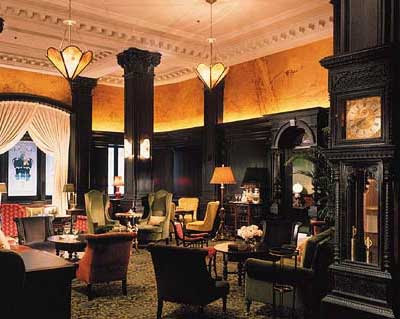 I've never seen the Algonquin Hotel bar...I was supposed to stay there on September 11, 2001 but of course my plane never left the O'Hare tarmac on that morning and I've sadly never been back to New York. Hope to remedy this soon! Oh, CL, what a story. Well, come visit NYC! 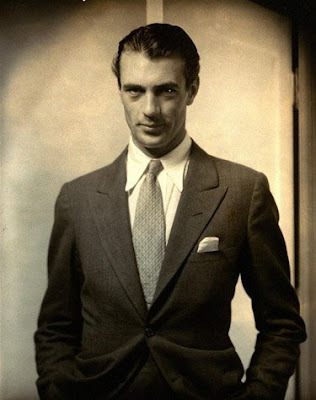 Bart -- I'm looking at that perfect photo of perfect Gary Cooper . . . and I am perfectly happy. I've seen it before, of course, but when? So thanks for putting it up here. Mmmm, lovely lovely man.